In 1976, 4 elderly buildings and 4 family sites were constructed in Smethport, Port Allegany and Eldred. The first units to be completed were Dickinson Manor and Center Hall located in Smethport. Soon after, Jenny L Manor and Allegany Apartments located in Eldred were completed. The last to be completed were located in Port Allegany and were Page Place, Medberry Manor, Vanderhule and Helmer Hall. In 1978, a Section 8 Project Based high-rise was developed in Kane called Central Towers. The building is 6 stories and includes 84 elderly apartments. In 1982, the Housing Authority developed an elderly building and family units in Foster Township, outside the city limits of Bradford. The elderly building was named Riley Road Apartments and the family units were named Fosterview Apartments. Seeing a need for additional low income housing units, in 1983, the Housing Authority developed units in Port Allegany, Eldred and Kane. In Port Allegany, townhouses were built on Mill Street. Single family dwelling units and duplexes were built on Brooklynside Drive in Liberty Township, outside the Port Allegany borough limits. Subsequently, the units were named Mill Street Apartments and Brooklynside Apartments. In Kane, single family units and duplexes were constructed on Welsh Street, called Welsh Street Apartments. In 1990, an elderly building was constructed in the borough of Lewis Run. The building consisted of 12 elderly units and was named The Abbie. Finally, in 1996, single family dwelling units were developed in Mr. Jewett on Phillips Street and E. Main Street. The units were named Phillips Street Apartments. In 1997, the Housing Authority developed a non-profit agency named A Partnership in Housing, Inc. The non-profit owns some of the units and are managed by the Housing Authority. In addition to the units the Housing Authority has constructed, we have purchased additional properties through the non-profit agency. Some of these units are located in Smethport, Mt. Jewett, Bradford and Kane. In 2001, A Partnership in Housing developed and constructed 4 handicap accessible individual units located on Water Street in Smethport. These units are called Smethport Commons and consist of 3, one-bedroom handicap accessible units and 1, two-bedroom handicap accessible unit. As of January 1, 2014, the McKean County Redevelopment & Housing Authority and the City of Bradford Housing Authority have combined to make one. 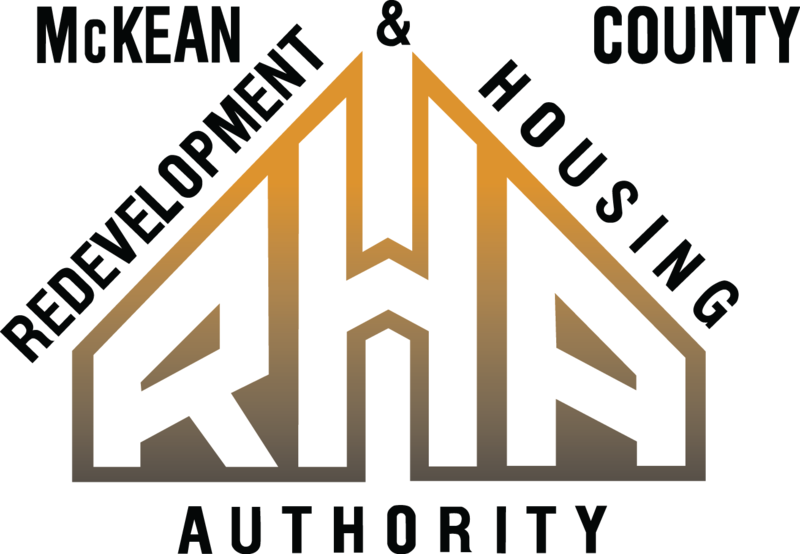 The new authority will be the McKean County Redevelopment & Housing Authority. The housing authority will maintain locations at Smethport and Bradford and continue business as usual. Today, the McKean County Housing Authority provides assistance to families in McKean County through the Public Housing, Section 8 and Central Towers housing opportunities. We provide safe, decent and affordable housing to low, very low, and extremely low-income families. To be considered for tenancy with any of our programs, all applicants must fill out an application and meet eligibility guidelines.